I am amazed that it's time to order a Thanksgiving turkey already. 2016 went by very quickly. 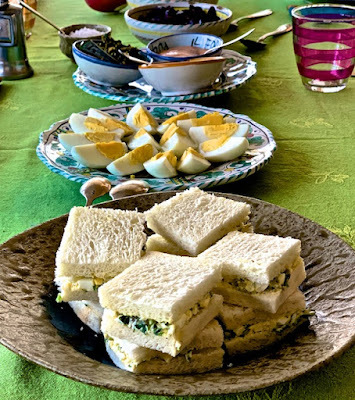 Happily in the fall, I was busy traveling for writing assignments and video taping chefs in their kitchens showing me their favorite recipes. For Thanksgiving I am using a new recipe from one of those experiences. 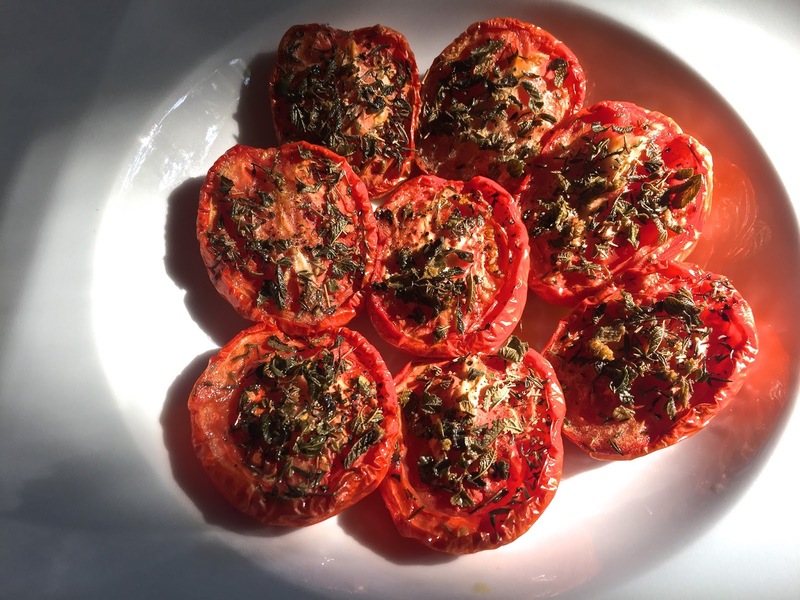 This recipe is insanely easy and incredibly delicious: slow roasted Roma tomatoes used on sandwiches. When I was working on a profile of chef Andrew Pastore at Clifton's in downtown Los Angeles, to appreciate his menu I ate at the restaurant on the first floor, which is actually a cafeteria. I ate a rare roast beef sandwich that was excellent. The meat was perfectly cooked, moist and tender. 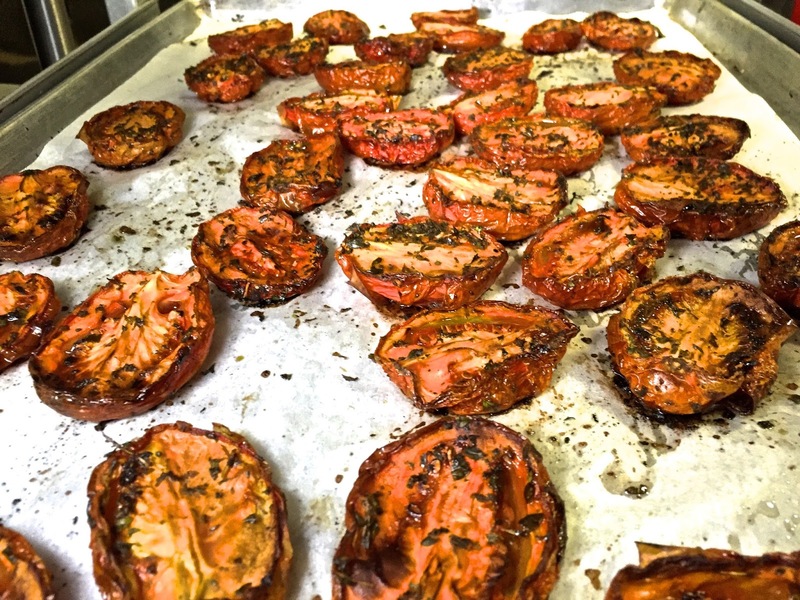 But what made the sandwich memorable was the addition of these slow roasted Roma tomatoes. Putting the slow roasted tomatoes on a sliced turkey sandwich would be awesome! 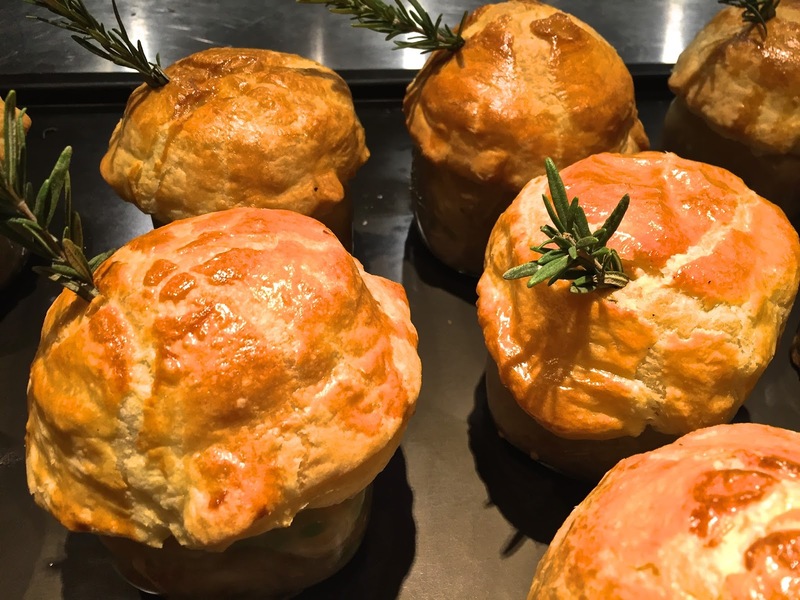 With chef Pastore, I wanted him to demonstrate his turkey pot pie, a dish he serves every day at Clifton's and one I thought would be perfect for after Thanksgiving. I wrote the article about Pastore for Zester Daily. Please take a look. The recipe is really easy. The dish is delicious. And the video is fun. Roma tomatoes work really well for this technique because they hold their shape even as they are exposed to prolonged heat. After they are cooked, I remove the skin. I've used them on sandwiches (of course!) but also cut up in pastas, in soups and in braises. They add a great umami quality. The amount of time in the oven depends on the size of the tomatoes. Large Roma tomatoes could take 8 hours. Smaller ones, maybe only 4 hours. Check them after 3 hours. What you want is for the tomato to collapse on itself so the flavors concentrate as the water evaporates. You do not want them dried out so they resemble sun dried tomatoes. They should have a pulpy moistness. With the larger Roma tomatoes, I put them in the oven before I go to sleep. When I wake up in the morning, the house is filled with the most delicious aroma. Cut each tomato in half, the long ways, from the stem to the bottom. Lay the tomato halves cut side up on a baking sheet covered with parchment paper or a Silpat sheet. Season with oregano, sea salt and pepper. Place in oven. Check after 3 hours, then every hour after that. Remove and cool. They can be stored in an airtight container for up to a week.